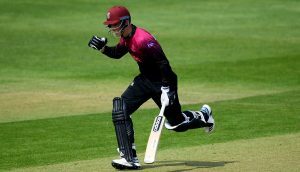 Tom Abell picked up a hat-trick as Somerset confirmed their status as Division One runners-up on the second day of this Specsavers County Championship match against Nottinghamshire at Trent Bridge. The Somerset captain removed Luke Fletcher, Matt Carter and Harry Gurney with consecutive deliveries, all to slip catches, as Notts were bowled out for 133 on the stroke of tea, a first innings deficit of 330. 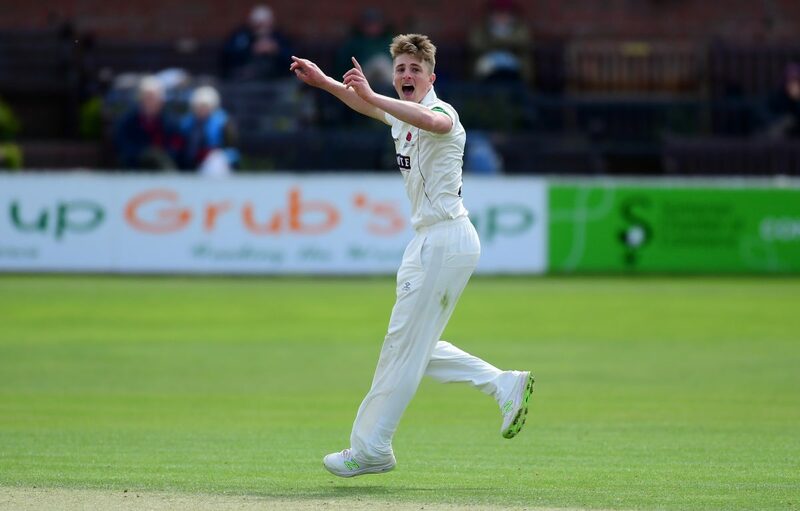 Abell’s burst brought him figures of 1.3-1-0-3 to accompany impressive work by Craig Overton and Lewis Gregory. Craig Overton took four for 27 and Gregory bagged three for 36 as the hosts were dismissed inside 36 overs. Abell then enforced the follow-on and saw his side reduce Notts to 115 for three in their second innings, still 215 behind. Earlier, Somerset plundered 110 runs in the first hour of the day, before being bowled out for 463, with Harry Gurney closing with figures of six for 106. 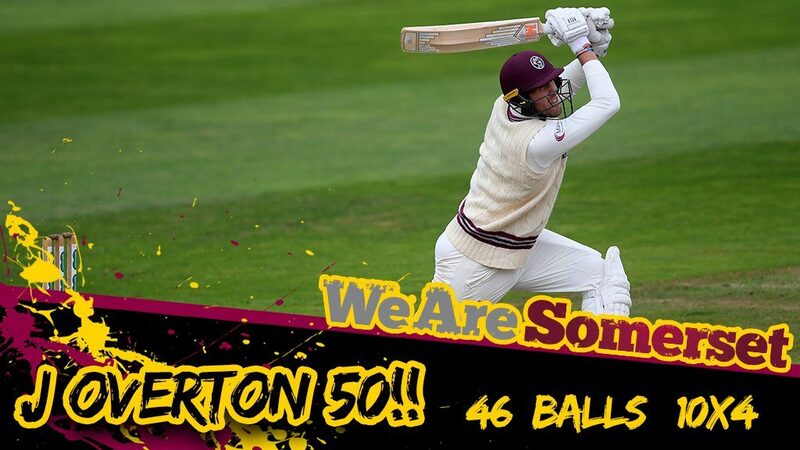 Beginning the day on 353 for seven, Somerset showed their intentions from the off, with Craig Overton hitting Matt Carter for a four and six in the opening over of the day. Jamie Overton attacked with the same positive mindset as 41 runs were added inside six overs. A stunning catch, diving at full stretch, by Luke Wood sent back Craig Overton for 23, giving Gurney his sixth wicket of the innings. Josh Davey fell to Luke Fletcher for 21 and Jamie Overton was last out, hitting Samit Patel to the leaping Carter at deepish mid-on for 55. Jake Libby nicked the second ball of Lewis Gregory’s opening over to fourth slip, where Jack Leach parried the ball to Craig Overton at third. Either side of lunch Craig Overton picked up key wickets with successive balls. Steven Mullaney made 21 before nicking to James Hildreth at first slip and then Ben Duckett edged the first ball of the afternoon to Marcus Trescothick at second slip. Gregory removed both Samit Patel and Tom Moores, as Notts slid from 50 for one to 85 for seven. The other wickets in that collapse were bagged by Craig Overton, who clean-bowled both Riki Wessels and Ben Slater, who made 35. Abell then introduced himself into the attack and walked off the field nine balls later, with the ball being held aloft for his maiden hat-trick. It was the seventh time this season that Notts had failed to reach 200 in the first innings of a Championship match. 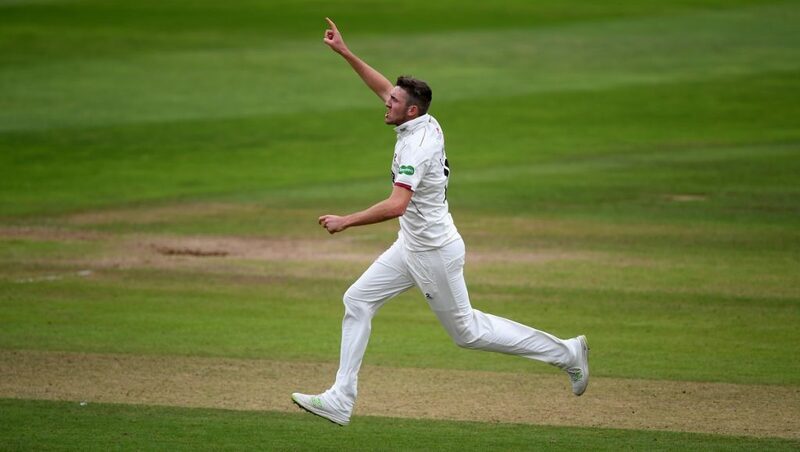 Libby fell to Davey at the start of the home county’s second knock and late in the day Jack Leach removed Mullaney for a battling 54, before nightwatchman Fletcher also came and went quickly. Despite struggling throughout, Nottinghamshire had some cause for relief as news filtered through from the Ageas Bowl that Lancashire had failed to gain sufficient bonus points and would accompany Worcestershire into the second tier, thus sparing the Trent Bridge side. At the close of play Tom Abell said: “It’s all a bit surreal because I didn’t anticipate that at the start of the day. I’m delighted to contribute personally and it’s been a great day for us as a side. Finishing the innings as we did was fantastic and then to bowl the way we did was awesome. “It happened very quickly and is a bit of a blur, but there was a little bit of swing and I tried to bowl in a decent area and the first one (Fletcher) took off a little bit and took the edge, the second one (Carter) wasn’t a great ball but sometimes these things go your way and then I just thought ‘what will be, will be’ and it was a great catch from Craig O and I was in disbelief.